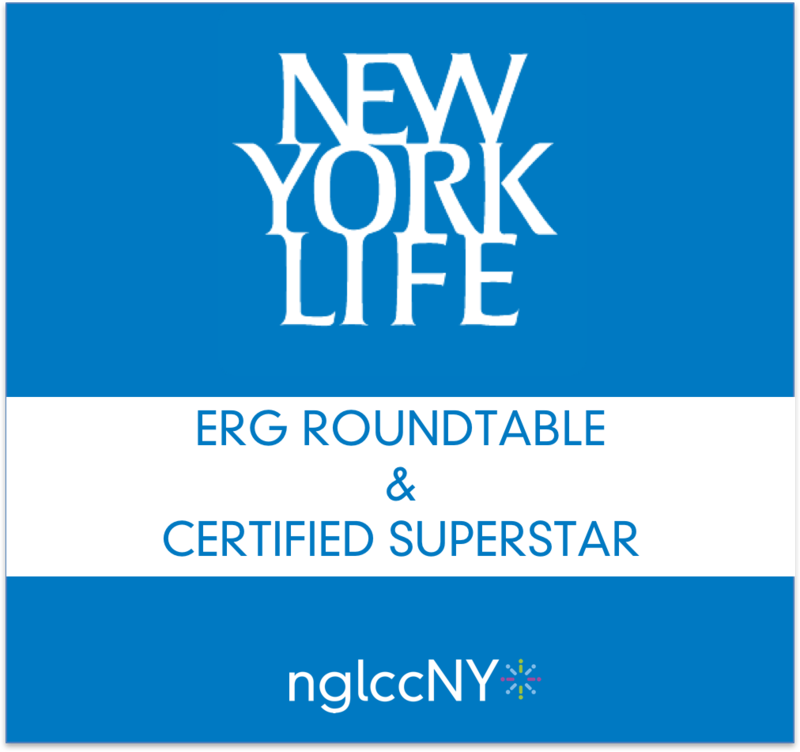 Please note, all nglccNY members are invited to attend both the ERG Roundtable and Certified Superstar. In partnership with our corporate partners and various community organizations, NGLCCNY reaches out to LGBT employee resource groups (ERGs) in the New York Metro area to connect and inspire leaders committed to business opportunity, diversity and inclusion. ERG Roundtable - 2:30 p.m. - 3:45 p.m. Please feel free to stay after the ERG Roundtable and attend the Certified Superstar. See details of this event below. All nglccNY members are invited to attend. Certified Superstar: Time: 4:00 p.m. - 5:45 p.m.
Certified Superstar is designed as a 20 minute mentorship program where you have the opportunity to appear before a panel of several professionals from one of our Corporate Partners (in this case, New York Life and other Corporate Partners) to provide a ?mock? pitch. You will give a ten minute presentation which should focus on a service and value proposition. Following your presentation, you will receive ten minutes of constructive feedback on style, content, presentation skills and communication. Although you will not be bidding on any specific job, you should treat this opportunity as if it were an actual sales pitch. The goal of the program is for you to walk away with helpful advice from Corporate Partner representatives and for you to gain additional experience in pitching your businesses. Although this is a mock pitch, it is a tremendous opportunity to get valuable face time with key individuals from New York Life. TO APPLY: If you would like to be considered to pitch at this event, please complete this form as soon as possible. The deadline for submitting an application is 5:00 p.m. on Friday, June 2, 2017. Please note that submitting an application to participate in this event does not guaranty your participation, as New York Life will select the suppliers that will pitch. It is therefore imperative that you submit your application no later than 5:00 p.m. on Friday, June 2, 2017. Up to three people from your company may participate in the pitch. You must include each of their names when you complete your application. We hope to notify all applicants approximately one week prior to the event. SUGGESTED APPLICANTS: All LGBTBEs are strongly encouraged to apply. In attendance will be many other Supplier Diversity, Procurement and like-minded decision makers from several other NGLCC Corporate Partners, as well as New York Life, all of whom want to help YOU develop your pitches. This is an unprecedented opportunity for you to get your business in front of a number of different Corporate Partners. Please join us for our Members's Monthly Mixer (M3) following these events. For more information about the ERG Roundtable, please go here.